Canin Associates worked collaboratively with Titusville’s City staff and community stakeholders to develop a vision for the future and an approach to restructuring the City’s Comprehensive Plan, both of which were unanimously accepted by City Council. 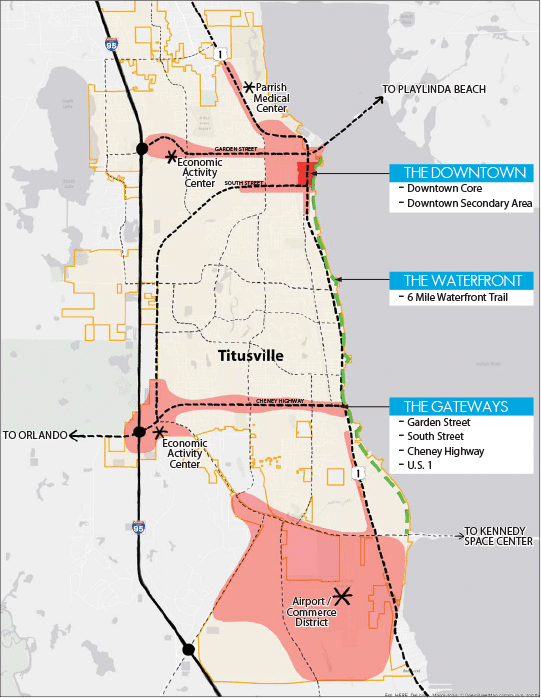 The Titusville Tomorrow vision builds upon the City’s unique position within the dynamic Central Florida and Space Coast regions. The process included a series of stakeholder workshops that allowed the community members to express their concerns and explore opportunities. Upon the conclusion of the public workshops, a clear vision emerged that focused on three key elements: growing downtown, activating and protecting the waterfront, and enhancing the City’s gateway corridors. Canin Associates built on this work by partnering with City staff to align the City’s Comprehensive Plan with the goals laid out in the Vision. The update used an integrated, cross-disciplinary approach to plan for vibrant, efficient mixed-use places. 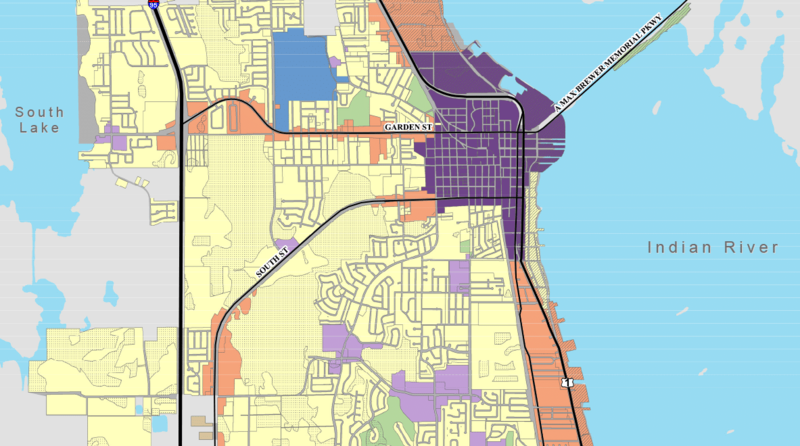 The result was a signficantly restructured Comprehensive Plan with a dedicated element for “Places,” a unified matrix of implementation strategies, and a proposed future land use map simplified to enable mixed use places and targeted redevelopment.